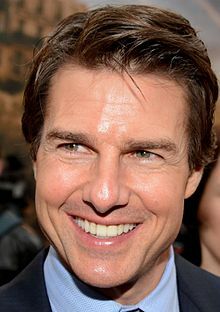 Tom Cruise has plenty of fans, many of whom would “follow him” anywhere. Does that make him an effective leader? The Rebel Gorilla interpretation of Leadership does not include popularity or charisma. Too often when someone in a supervisory position is well liked by superiors, peers and/or subordinates they are considered good “Leaders”. That quality, a “Leader”, is too precious to trivialize it thusly. I can certainly understand how being charismatic or popular can be helpful to someone who aspires to be a “leader”, but it is not necessary for a leader to be popular or even liked. I don’t think Old Iron Guts, General Patton, was liked by many people, but he was certainly well respected by his peers, superiors and the enemy for that matter, and his troops would follow him anywhere. 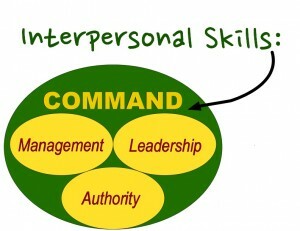 Interpersonal skills, the green that binds the Command Model, are important for anybody who acts in a supervisory capacity. For that matter, it is important that everybody on the team can get along with others! Don’t get me wrong, interpersonal skills are very important for anybody and everybody, especially those in supervisory positions. Qualities like Emotional Intelligence are certainly relevant in the workplace. In fact a recent article in the Financial Post actually asserted that neither the skills nor the education of a person is an accurate predictor of career success, but one’s emotional IQ is. That said, I would submit that many of the most extraordinary leaders in history had the Emotional Intelligence of Michelangelo’s David, but there were other reasons why people followed them. It goes without saying that one can have a very successful career, enjoying stature, wealth and privilege with zero leadership skill by any measure. To the contrary, in fact, being too overt or uncompromising as a leader can have a deleterious effect on one’s career. I am confident, however, that the highly successful careerists among us would have done much better had they taken a Rebel Gorilla outlook on leadership. More importantly, the community would be much better served by Gorilla leadership.